Basic 3 ways Black DVD case with Clear outer plastic cover. Basic 4 ways Black DVD case with Clear outer plastic cover. Basic Half Size Double 10mm Black DVD case with Clear outer plastic cover. Basic Half Size Single 10mm Black DVD case with Clear outer plastic cover. 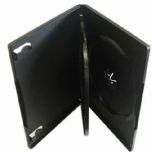 Basic Double Black DVD case with Clear outer plastic cover. 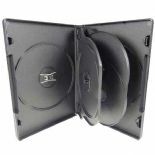 Basic Double 7mm Black DVD case with Clear outer plastic cover. 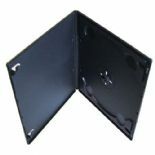 Basic Single Black DVD case with Clear outer plastic cover. 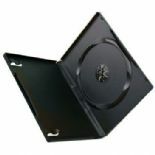 Basic Single 7mm Black DVD case with Clear outer plastic cover. Basic 6 ways 20mm spine Black DVD case with Clear outer plastic cover. Basic 8 ways 27mm spine Black DVD case with Clear outer plastic cover.